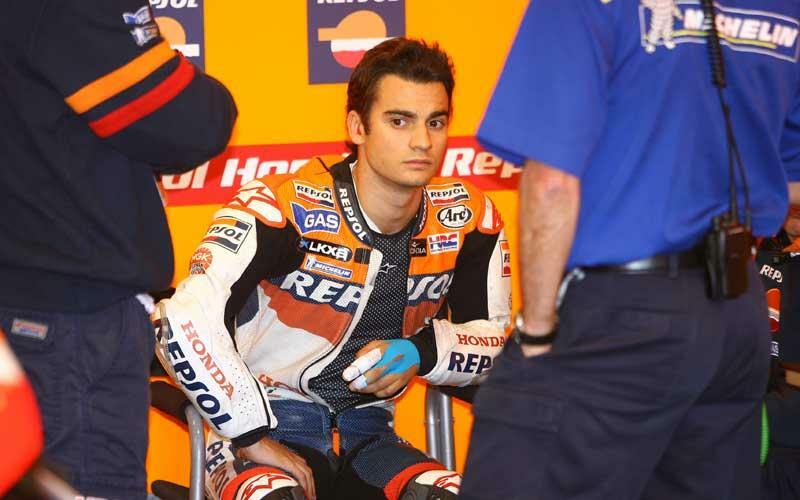 Dejected Dani Pedrosa packed up and left a scheduled two-day test session in Brno after just 11 laps as his frustration with the performance of Michelin worsened. Testing some new tyres, the Spaniard was unable to find any significant improvements over the tyres he heavily criticised during after the Czech Republic GP. He refused to ride on after 12.30pm on the opening day and was seen leaving the track way ahead of schedule having changed his flight plans to return home. The factory Honda rider, who slumped to 15th in Sunday’s Brno clash in a race he branded ‘embarrassing’ said: “We tried some different front tyres that Michelin brought here for this test, but we finished after some laps because we couldn't find any improvement.